A major component in physical therapist assistant education is the opportunity to apply the knowledge and skills learned in the classroom in real patient interactions. Clinical Education is a critical component that develops the essential skills of clinical reasoning and problem solving. 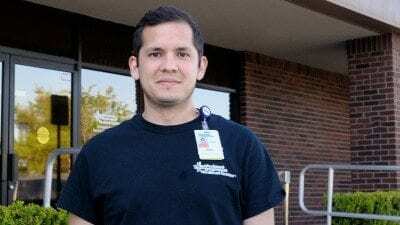 Demonstrating mastery of specific Critical Safety Indicators (CSI) during clinical rotations is necessary in order to pass each clinical affiliation. Competency with critical safety indicators indicate that a student carries out intervention, per the plan of care, in a manner that minimizes risks to the patient, self, and others. To assist in the mastery of these skills, the CSIs are carefully monitored by program faculty during specific lab exams, prior to clinical rotations. 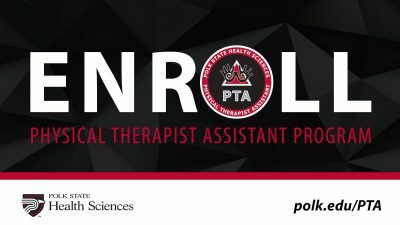 The clinical education component of Polk State College’s PTA program is composed of two full-time five-week rotations (200 hours) and one full-time six-week rotation (240 hours). The following requirements are to be completed prior to the first clinical affiliation. The PTA program Academic Coordinator of Clinical Education (ACCE) will provide information regarding the completion of these additional program requirements during student orientation. We currently have student agreements with many clinical sites here in Polk County and in the surrounding communities. If you are interested in becoming an affiliated site with Polk State College’s PTA program, please contact us.